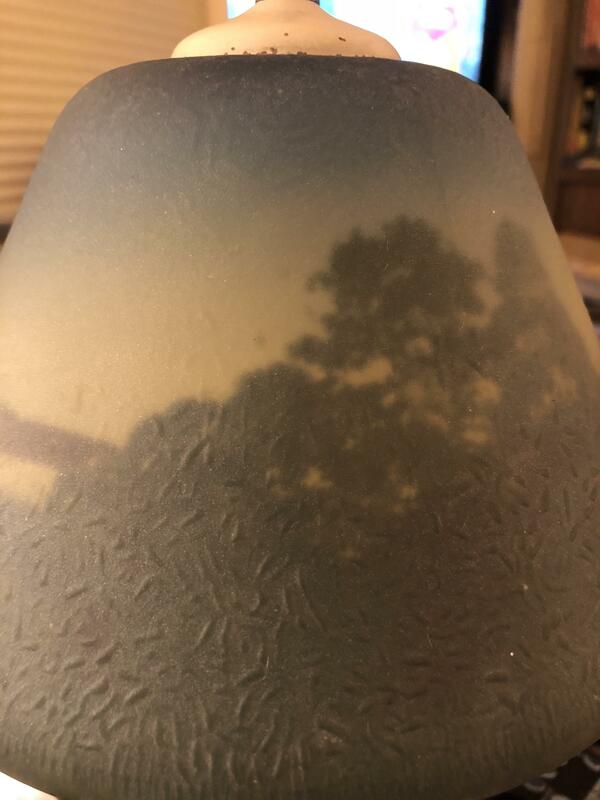 14” tall with reverse painted and textured glass shade original. 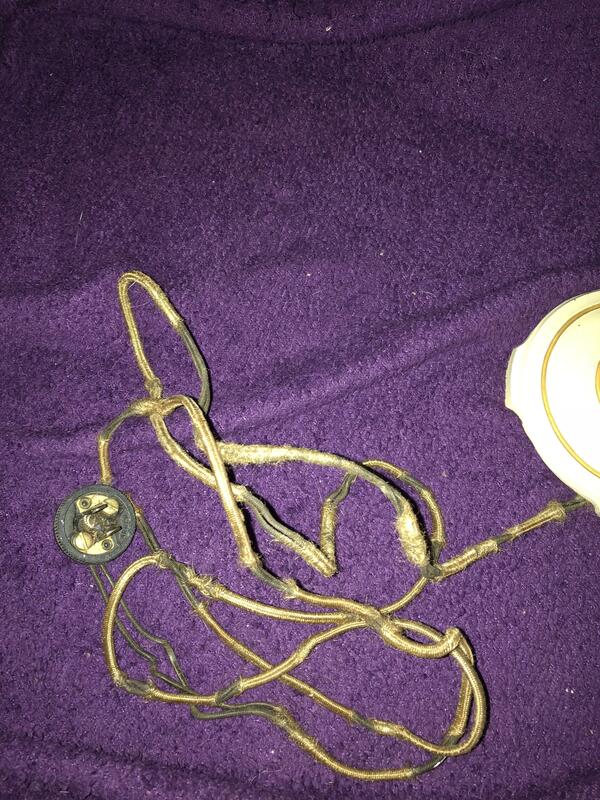 Original wiring. Works. 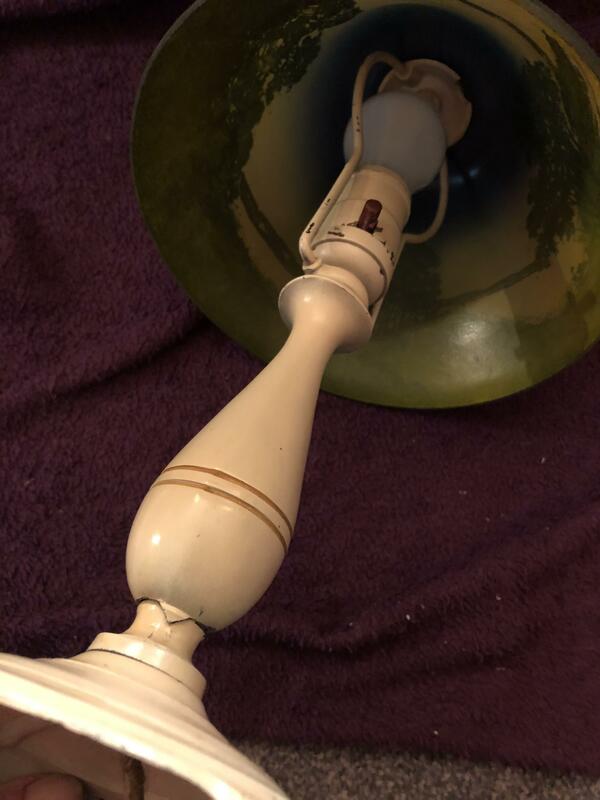 Off white painted base with gold accents (? Painted accents). Heavy for size (? 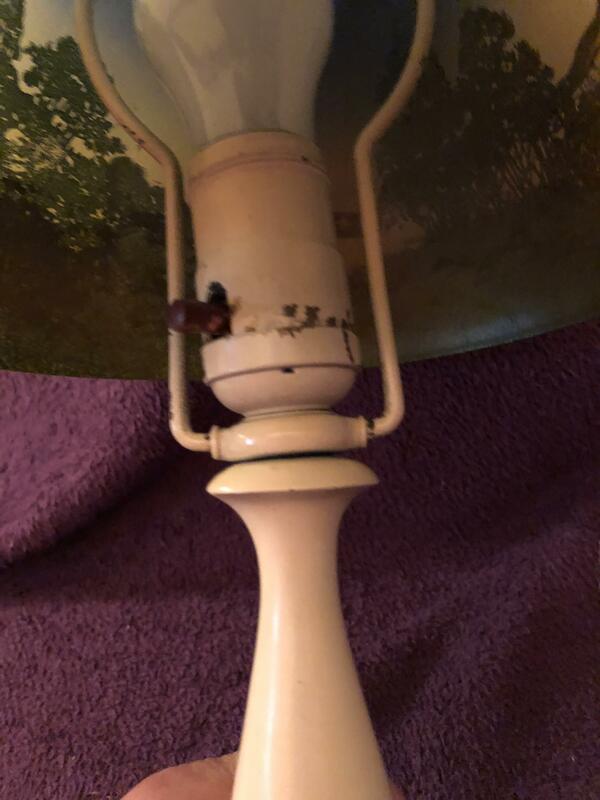 Brass or cast iron under paint or combination of both. 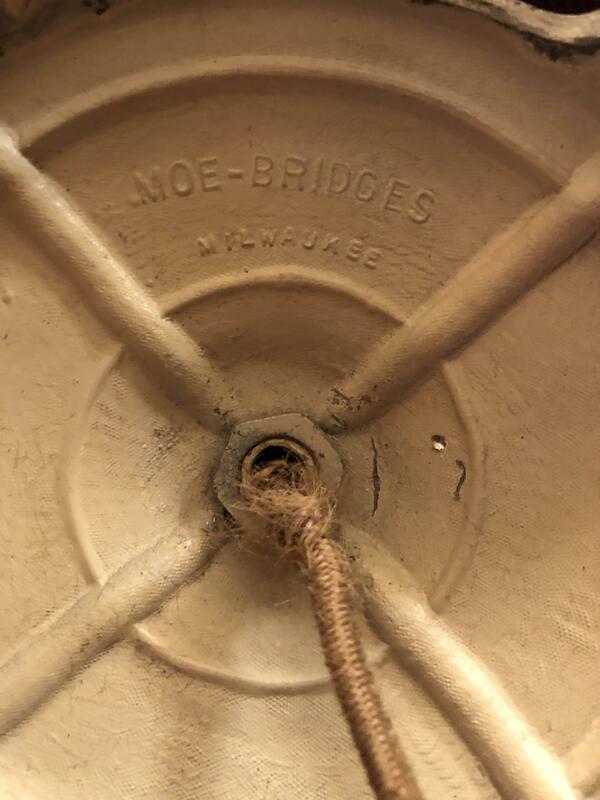 Bottom of lamp has MOE BRIDGES and Milwaukee. In my mom’s house as long as I can remember 60+ years. 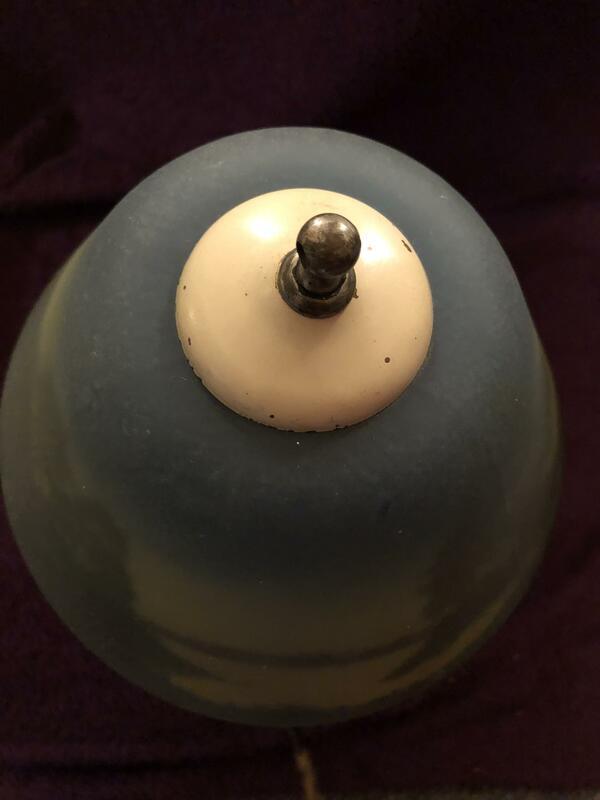 Value needed for Executing her estate ( she passed at 93). The Moe-Bridges Co. listed addresses in both Milwaukee and in San Francisco, they specialized primarily in reverse painted shades of landscapes and forest scenes. 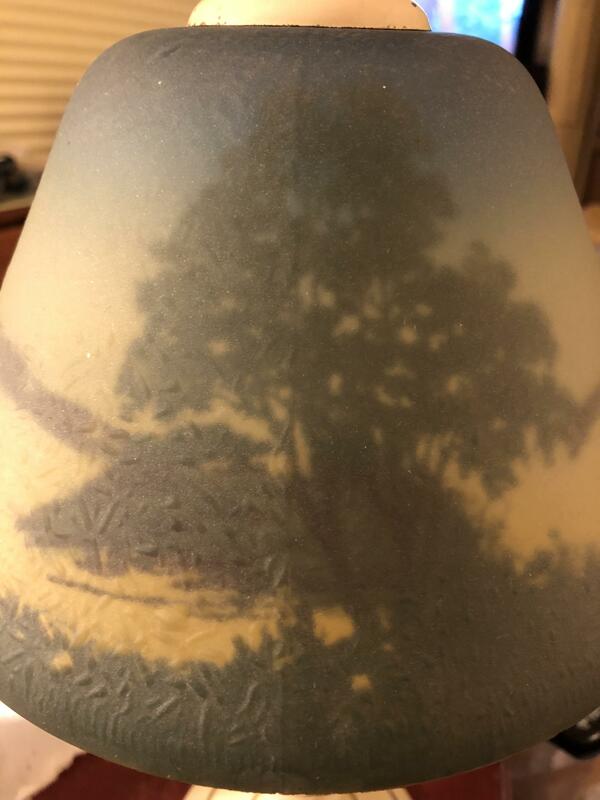 the lamps were signed on both the base and the shade. 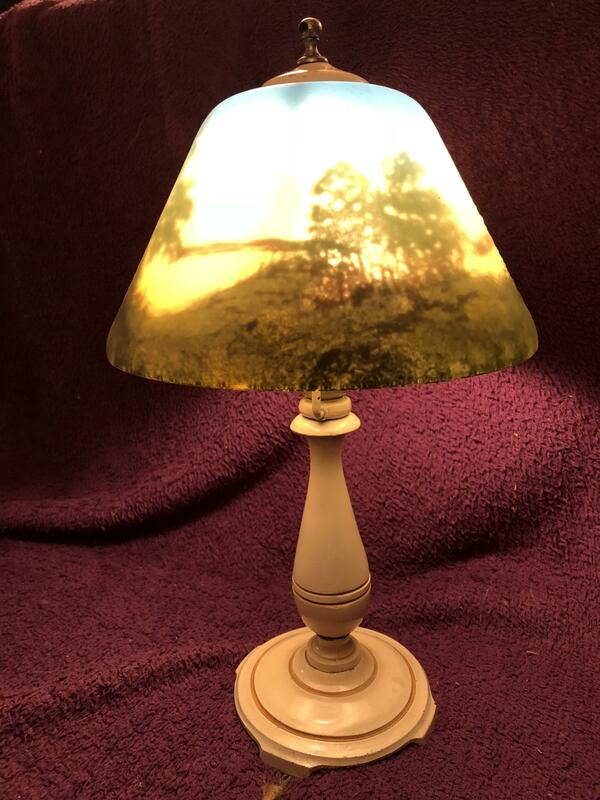 Values for these lamps depend a great deal on their originality, this one appears to have been painted over its original finish. 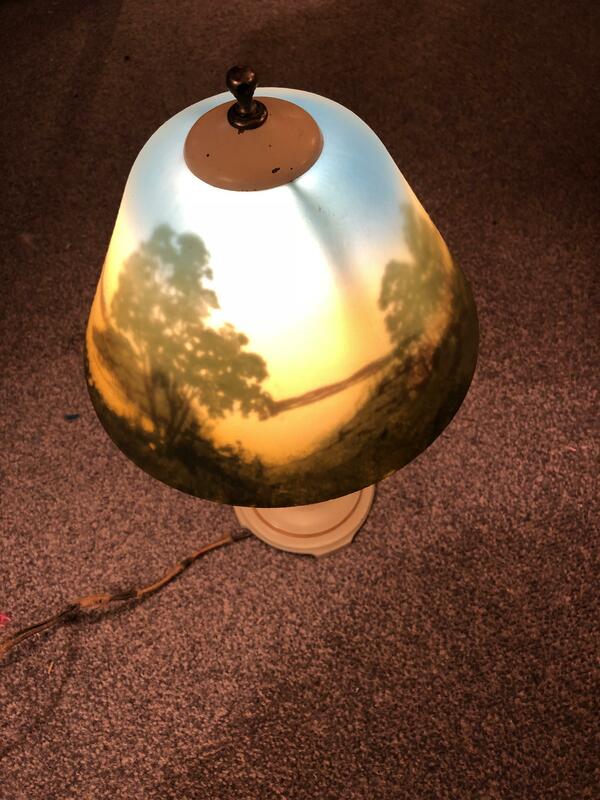 Lamps in very good original condition by this company can sell for up to $2000.00, those that have been repainted or modified in any way tend to sell for under $650.00, selling at auction for under $350.00.